Simple words muttered and scrawled on pieces of paper: words from God. I was hesitant at first. How could God show me anything through simply the thoughts in my head? How could these random thoughts I was having mean anything to God’s plan? It did not seem likely. 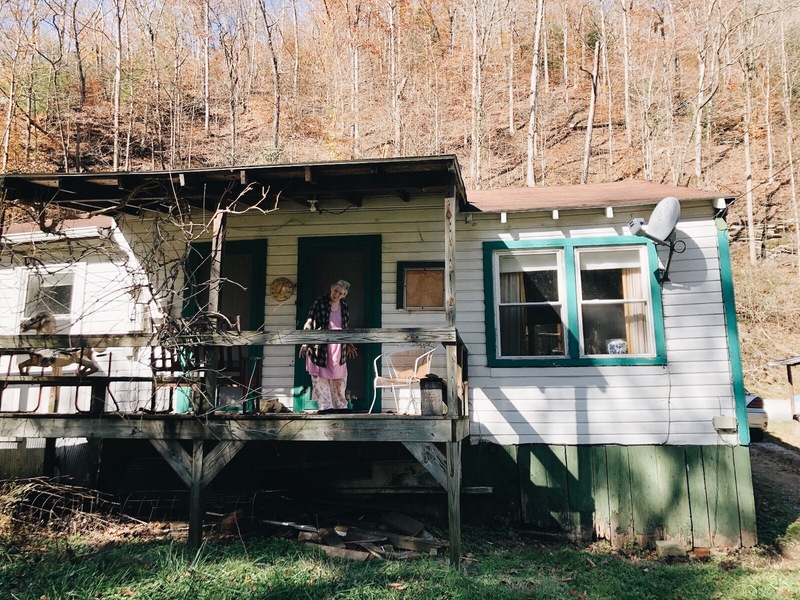 A group of us, embedded in the heart of Appalachia, in the middle of a forest, drove towards a vague destination. Prior to this journey, we had all prayed and asked God for simple words that might provide hints or clues to the person—or treasure—we needed to find. Once we found these clues, we would pray over them. Our words consisted of flannel, pink, cancer, white house, Beth, wall, toy, and eyes. To me, this was wacky. I was instantly I was skeptical of these words. I was ingrained with skepticism that God could actually show himself in this modern age. How could God have any influence over these meaningless words? This question lingered in my head like a stench, leaving me blind to God’s power. Finally, after driving miles of winding roads, our van stopped in front of an old house. An old, white house. Immediately, my group started chattering away with excitement. But I doubted it. Just a coincidence, I thought. We walked across the ragged lawn and up the creaky steps. On the porch, the peeling white paint cracked in harmony with the humming trees around us. An elderly lady crept outside to welcome us. Her face sagged as she smiled with infant-like joy as our hello’s greeted her. Her body was hunched over, but she seemed strong. Her eyes completed the picture; they sparkled intensely with a fierceness that would intimidate wolves. Her name was Nancy Asher, and we all were speechless by her radiating appreciation of life. Nancy was wearing a pink dress with a flannel over it. As she corralled us into her humble living room, past a strange rocking horse toy, our group smiled boldly at one another, as if communicating: she’s the one, Nancy is the Treasure! But I still was skeptical. Just a few coincidences, I told myself. We all sat around her in a circle as she shared her story. Nancy told us about her grandchildren and great-grandchildren. She told us about her life as a non-believer and how much it changed once she committed her life to the Lord. She told us about her relative named Beth and how she was struggling with cancer. Then she told us about her own fight with cancer. At this, everyone in the group glanced at each other with wide eyes. Nancy proceeded to tell us about her eyes, which had been cross-eyed for quite some time now. At this, we all simultaneously began to pray for her. I was still doubtful of these hints, but I knew that Nancy needed prayer. When we finished praying for her, we asked God for healing on Nancy’s eyes. When I looked into her eyes, a robust calm washed over me, sending shivers of warmth down my spine. As we finished praying, Nancy mentioned she had been given the gift of prophecy from God. Suddenly, she began to pray. We all sat in silence, only spectators of what was happening. Nancy began to speak in tongues; she was actually hearing words from God! Nancy arose, mid-prayer, and shuffled to the wall. She began to intensely hit the wall, while still murmuring God’s words. Then, Nancy crept over to each one of us and one at a time grasped onto us and prophesied over us. I froze. She was going to prophesy over me. She stepped towards me and clutched my arm while speaking in tongues. In three sentences, she spoke words from God to me. I shook and trembled in fear. Not bad fear, but more like sheer awe. I felt the Lord, and I heard his words. No longer did I doubt that those first words were random. God led us to Nancy, where we not only prayed for her, but we also basked in God’s presence.